Swedish bioprinting company Cellink is expanding into the realm of cancer research. In a deal announced on Monday, Cellink will join forces with CTI Biotech; a French medtech company that specializes in producing cancer tissues in order to find effective treatments. Cellink will essentially help CTI to produce replicas of cancer tumors, which are 3D printed by mixing the company’s bioink with a sample of the patient’s cancer cells. This will help researchers to find treatments against specific cancer types. Cellink’s 28-year old founder and CEO, Erik Gatenholm, sees the partnership as a breakthrough for the oncology industry. “You will be able to see how a tumor grows and how it would respond to different treatments. It’s a very releveant and a realistic model for research,” Gatenholm told Business Insider Nordic. Cellink, founded in early 2016, is one of the first companies in the world to offer 3D printable bioink – a liquid that enables human cells to live and grow. Currently the company bioprints noses and ears mainly for testing drugs and cosmetics. It also prints cubes which enable researchers to grow and experiment with cells from human organs such as livers. The market for bioprinting is expected to triple between 2016 and 2021, to around $1,33 bn. Moreover, just like with the cosmetics industry, Cellink wants to nudge oncology researchers away from animal testing: A lot of cancer treatment today tests take place by injecting a patient’s cells inside an animal. Besides the ethical considerations, “it’s expensive and complicated to use animals,” Gatenholm says, adding that cancer treatment will be a “huge focus area” for the company going forward. Cellink sells both the 3D printers and the bio-ink. The printers are priced between $10,000 and $39,000. Cellink hit $1,5 million in revenues this year, and turned a profit. 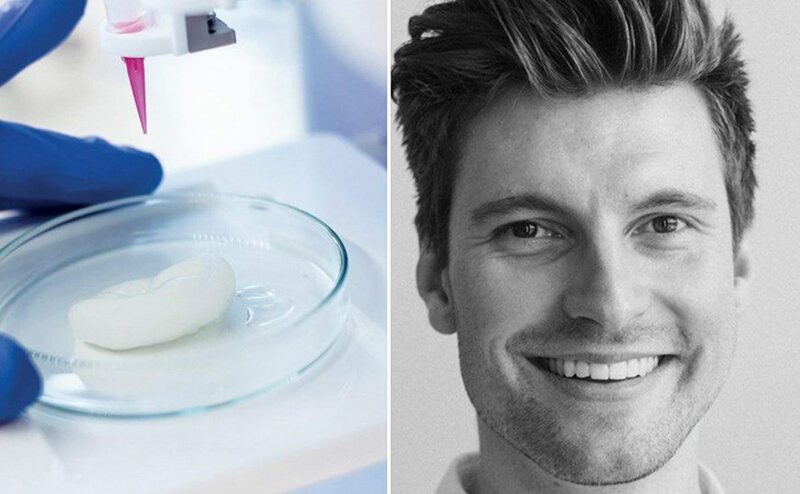 Gatenholm has said he founded Cellink “to change the world of medicine” and to become a global leader in bioprinting – a market that’s expected to triple between 2016 and 2021. The company recently set up its American headquarters near MIT in Cambridge, Massachussetts. Last year, Cellink was one of the big sensations on the Swedish stock market afterits IPO was more than 1000% over-subscribed. This just 10 months after founding. ”The IPO year was a lot of fun. We finished the year with a strong flow of incoming orders,” Gatenholm says.